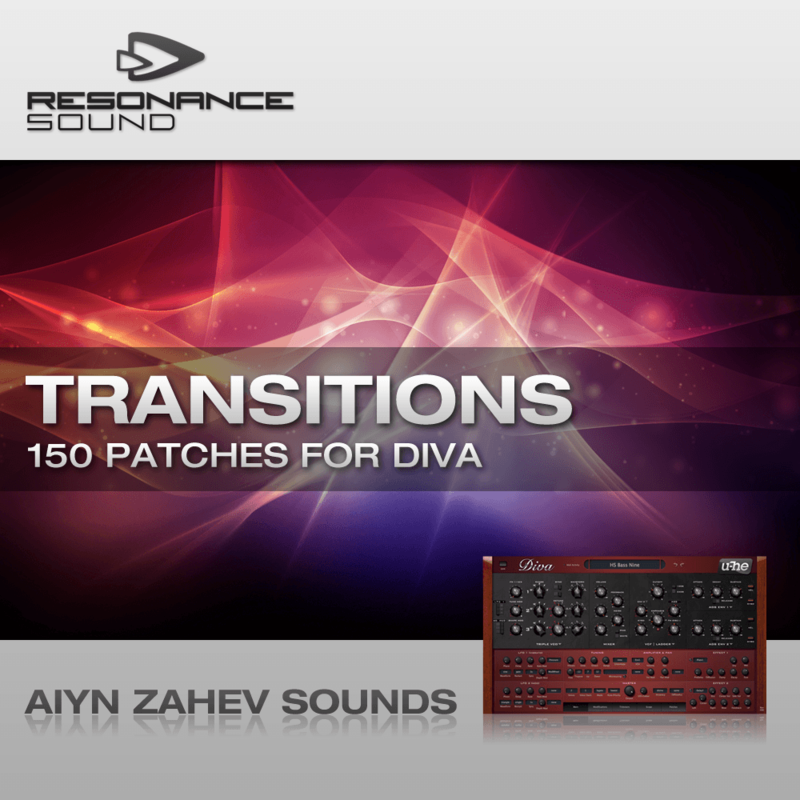 Resonance Sound & Aiyn Zahev present Transitions for u-he DIVA. Using state of the art modeling technology, DIVA offers an incredible hardwarelike sound, great flexibility and impressive effects. Its remarkable versatility lends itself greatly to contemporary electronic music and sound design. Transitions goes deep into the many nuances of sound DIVA can produce. With Diva every small tweak yields something new, as a result the sounds on this set are varied and interesting. Besides the less than usual sounds there are also many standard trance and house sounds which DIVA produces with exceptional finesse. A recommended addition to any electronic musicians palette.